The global retail landscape has never been more competitive as it is today as retailers like Amazon consistently display their complete dominance across most retail categories and markets. Strategic integrated partnerships can help online retailers fight back. The increasingly familiar stories round retailers like JC Penney’s closing up 140 stores, Macy’s closing 100 stores, American Apparel to close the remaining 110 stores and women’s wear shoe designer and retailer Moda in Pelle who were recently saved from administration in a packaged sale is evidence that retailers really have to pick up the pace of their innovative consumer offerings just to stand still with leading retailers displaying an absolute commitment to innovation at every consumer touch point and in some cases, before the consumer is even aware of their need. Consumers today are spoilt for choice and therefore maintain absolute control of where, when and how they engage with retailers and make their retail purchases. Consumer appetite to remain constantly connected for information and entertainment has resulted in most retailers developing and executing strategies and tactics to attract and engage consumers where ever they are with the goal to remain front of mind and secure retail spend. Intelligent retailers like Amazon are continually focused on developing increasingly deeper and more personalised shopping experience for each consumer. The launch of Amazon Go, positioned as the world’s most advanced shopping technology is just one of several innovations that Amazon have deployed to engage, win and retain consumer attention and spend to secure top spot in the mind of consumers in their operational markets. Amazon Go: With Amazon Go, the retail giant made a significant push for a checkout free shopping experience in a bricks and mortar grocery store. This revolutionary initiative was launched to Amazon employees near their Seattle HQ on December 5th 2016 with the view for public roll out in 2017. Their promise of ‘the ultimate grocery shopping experience’ where consumers can walk into their food stores, get food items they want, the technology automatically recognises what food items have been taken and adds this to their Amazon account for purchase confirmation without the need to queue or pay is another way Amazon direct and keep consumers engagement and spend within their Amazon business. Amazon Echo: The voice controlled ‘personal assistant’ Alexa, could be argued by some as Amazon’s answer to Apple’s Siri, Microsoft’s Cortana and Google’s simply named Google Assistant. Consumers who purchase Amazon’s Echo product have Alexa at their beck and call to listen and take action on their voice commands from connecting to 3rd party apps and answering questions to playing music and fulfilling online shopping requests. Where Alexa excels is the fact that this intuitive technology is constantly learning to better understand the user’s voice and deliver a faster, better user experience. Alexa is another innovative product that Amazon have delivered to engage consumers and further deepen consumer interaction with their services. Amazon Dash: Amazon’s Dash button did not fail to excite convenience hungry consumers with the ability to order and re-order products they need at the touch of a physical button in the comfort of their own homes. With the Amazon Dash button, consumers simply have to hit the buttons which are pre-branded for various household items that are instantly put into the consumers Amazon basket leaving the consumer to simply confirm the order(s) via their mobile device and their order(s) come delivered straight to the set address on their Amazon account. Amazon Dash presents another opportunity for Amazon to further embed their brand, products and services into the daily lives of consumers ensuring that they remain front of mind and increase consumer engagement and spend within their organisation. For retailers to compete effectively, strategic partnerships can certainly be a catalyst for growth for ambitious retailers. These partnerships assume a variety of formats and could be anything from how retailers create enjoyable and personal shopping experiences to where and how customers can conveniently make the purchases they want, wherever and whenever they choose. 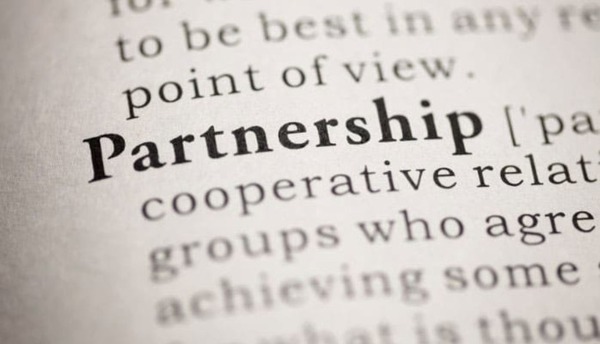 To maximise this opportunity, retailers must seek out partnerships that not only allow them to leverage 3rd party existing and cost effective software and hardware products but also explore opportunities for deeper relationships through product customisation to their specific retail business needs. Such partnerships allow smaller retailers to build on their core competencies and leverage the competencies of their partners to better engage customers, win more customer spend and effectively compete to remain front of mind. Partner with technology providers that focus on understanding who your most valuable customers are, increasing sales to existing customers, improving customer satisfaction. These partners should offer engagement, incentive and loyalty management platforms with analytics to understand where customer values lie and measure the effectiveness of various implemented loyalty schemes. In e-commerce, data is king and gaining as much insight into your competitor’s operations as possible can only positively influence the decision-making process for any retailer. Consider technology providers that provide competitor pricing intelligence for the same or similar products, for level stock availability levels for in real-time, promotional offers and incentives, price changes, assortment variety and changes. With the average company selling their goods and services through 3 or more channels, it is vital that retailers offer consumers an omni-channel experience with the capability to measure this across these channels and identify the optimum path to purchase to better customise that experience for each customer. Look for providers who provide behavioural profiling capabilities to better understand what channels customers want to engage the retailer, when they want to engage, and what actions they want to take so customer experiences can be built on these preferences and specific to the channel. Every consumer to some degree is driven by price when making a purchasing decision and understanding your competitors price point for the same or similar products could be the difference between winning customer spend and not. All things considered, there are few consumers that would pay more for a product than necessary positioning automatch price monitoring as a key strategy intelligent retailers implement to achieve and sustain competitive advantage. Competitor Monitor is the competitor monitoring and price tracking technology provider of choice for some of the world’s leading retailers and brands. With our intuitive technology, they track their competitor prices, products, promotions, reviews, stock availability, receiving timely alerts around the clock.